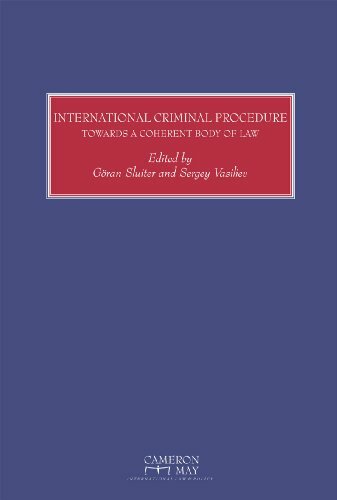 As the Supreme Court is poised to finally resolve the issue of corporate liability under the Alien Tort Statute for aiding and abetting violations of the law of nations, it is worth reflecting on the deeply contentious international jurisprudence on liability for collective criminality. 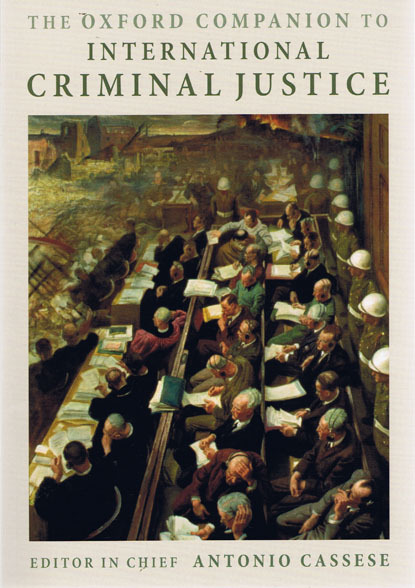 Since Nuremberg, international tribunals have struggled to balance individual criminal responsibility with the undeniable fact of collective criminality. The most controversial Nuremberg precedents in this area included their rejection of conspiracy except in cases of crimes against the peace (i.e. aggression), as well as the criminalization of membership in a criminal organization. Both topics continue to inspire academic controversy. 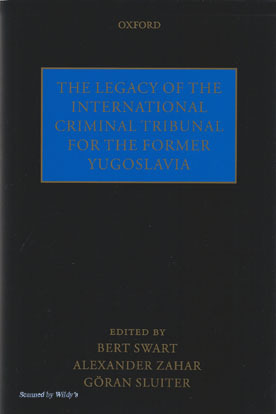 The ICTY’s solution to the same problem was the adoption of Joint Criminal Enterprise, first announced in Tadic and largely associated with the recently departed great jurist Antonio Cassese. Although controversial among some scholars, JCE quickly became the preeminent mode of liability charged in almost every indictment at the ICTY. This international jurisprudence is suddenly of great important to the US Supreme Court, which this spring will hear an appeal of the Second Circuit’s Kiobel decision, which held that corporations cannot be liable under the Alien Tort Statute for aiding and abetting violations of the law of nations. This case brings into stark relief the uncertainty over how international law deals with collective action in general, and in particular collective action that falls in between the two extremes of state conduct and individual criminal action. Corporations, conspiracies, and terrorist organizations are all examples of the same general problem. Although they are undeniably relevant actors in today’s world, they don’t fit neatly in the Westphalian paradigm of public international law. Previous litigation in the Second Circuit, both in Kiobel and in other cases, have focused on how the Rome Statute treats individual responsibility for collective criminal action. Strangely enough, though, these cases have focused almost entirely on Article 25(3)(c), a provision that criminalizes aiding and abetting. As Kevin Heller and others have observed, though, the Rome Statute includes an entire provision on collective criminality, Article 25(3)(d), but the U.S. courts have generally ignored it in their analysis. Certainly, Article 25(3)(d) is a terribly confusing construct. It was lifted almost verbatim from an international convention on terrorism and then plopped into the Rome Statute during the drafting process with apparently little consideration for how it would interact with the other provisions of the Rome Statute. Elsewhere I have analyzed its scope and concluded that a coherent understanding of it is difficult – or maybe even impossible. The relevant part of the provision says that an individual’s contribution to a criminal endeavor by a group of persons acting with a common purpose is criminal if the contribution is made with “knowledge of the intention of the group to commit the crime”. This would appear to set the appropriate mens rea of the individual defendant as knowledge, though it also references an intent standard for the principal perpetrators of the underlying criminal offence. Regardless of how one analyzes the mens rea, though, it seems clear to me that Article 25(3)(d) refers to complicity in crimes committed by a group, of which an allegation of corporate aiding and abetting would certainly qualify. Consequently, the failure of most U.S. courts to even address Article 25(3)(d) of the Rome Statute is downright bizarre. Isn't a corporation, as well as the primary perpetrators of an international crime, a group of persons acting with a common purpose? Another argument one often hears is that corporations cannot be liable under international law because corporations cannot be prosecuted before international tribunals. They were not prosecuted qua corporations at Nuremberg (industrialists were prosecuted personally as individuals) and corporations cannot be charged before the ICC or any other ad hoc tribunal. But this argument would appear to prove too much. The fact that an international criminal tribunal does not have jurisdiction over corporations does not demonstrate whether corporations are subjects of international law. 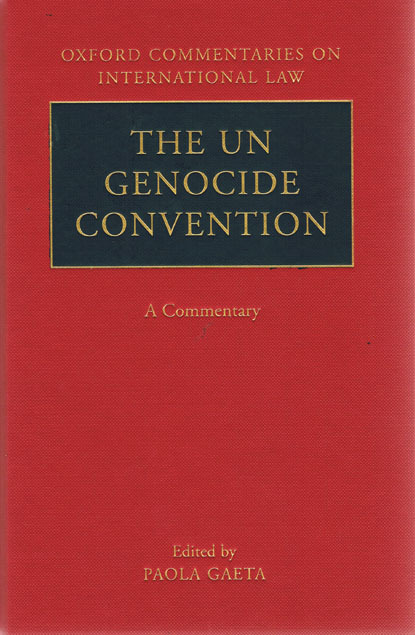 After all, international criminal tribunals do not have jurisdiction over nation-states, either, but that cannot mean that nation-states are not subjects of international law (on pain of a reductio ad absurdum). None of this has anything to do with whether a corporation is liable in tort in a U.S. court for violations of the law of nations. One thing is certain. If the Supreme Court holds in Kiobel that corporations are not liable under the Alien Tort Statute, the decision will only add fodder to the growing leftist critique of the Supreme Court as beholden to corporate rights. One can already see how this political argument will play out: The Supreme Court is willing to recognize the rights of corporations under Citizens United and Sorrell, but isn’t willing to recognize the corollary that corporations can be legally responsible for their actions. Of course the argument is simplistic and does not address the underlying legal arguments of the Alien Tort Statute and its jurisdictional grant that was examined in Sosa, but one can already imagine the editorials in the New York Times if that is how the Supreme Court resolves the Kiobel case.